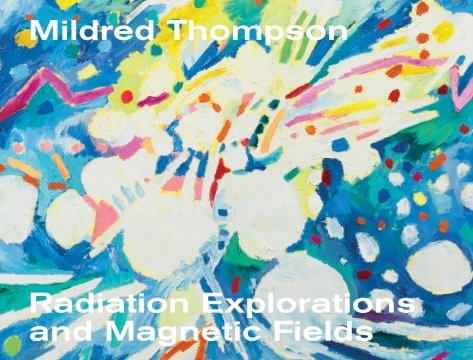 Galerie Lelong & Co. is pleased to present Mildred Thompson: Radiation Explorations and Magnetic Fields. 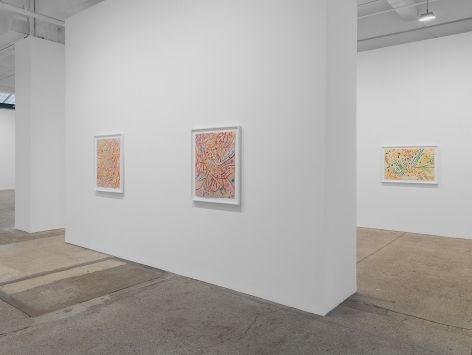 This will be the American artist’s first solo exhibition in New York and will open with a reception on February 22nd from 6 – 8pm. 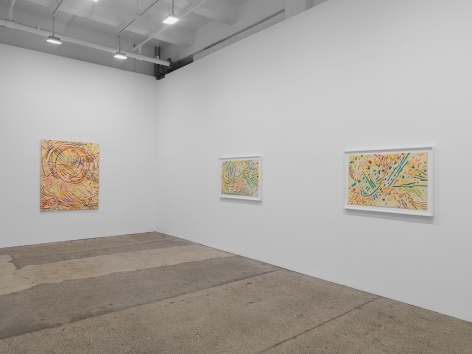 The exhibition highlights Thompson’s Radiation Explorations and Magnetic Fields series – two significant and thematically linked bodies of work that exemplify the artist’s signature approach to abstraction. 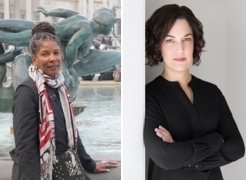 A catalogue will be published in conjunction with the show with essays by Melissa Messina, Curator of the Mildred Thompson Estate and the exhibition’s curatorial collaborator, and Lowery Stokes Sims, Curator Emerita at the Museum of Arts and Design. 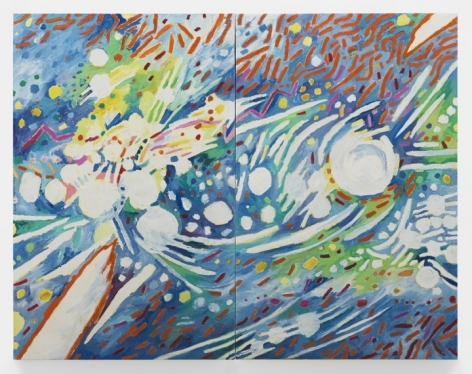 Concurrently, the gallery will present a solo booth of paintings from the Magnetic Fields series alongside works on paper from 2003 for the 2018 ADAA Art Show. 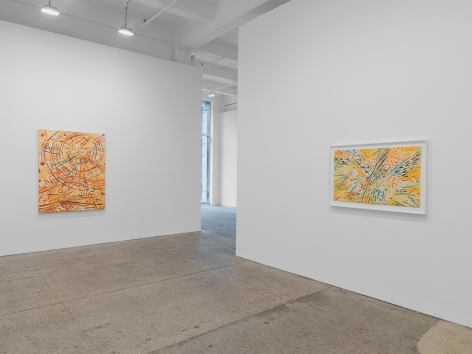 With a career spanning over four decades, Thompson created work inspired by interests ranging from philosophy and music to mathematics and science. 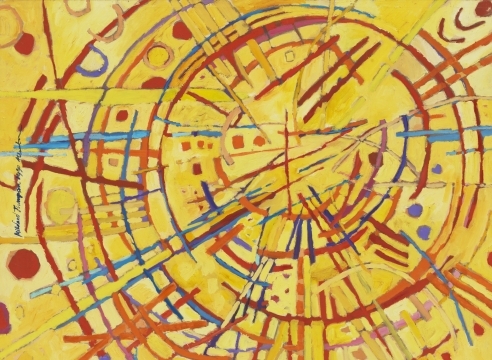 Her paintings often feature thickly textured, brightly saturated color segments painted in linear and circular formations. In describing her practice, Thompson said: “My work in the visual arts is, and always has been, a continuous search for understanding. 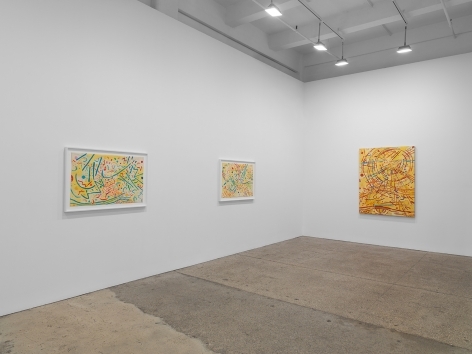 It is an expression of purpose and reflects a personal interpretation of the universe.” Her work broadens contemporary understanding of abstract painting as well as contributions by women of color. Thompson left the United States for Germany in the 1960s due to the racism and sexism she had experienced. She returned in 1985 and settled in Atlanta, Georgia, where she would live for the rest of her life. 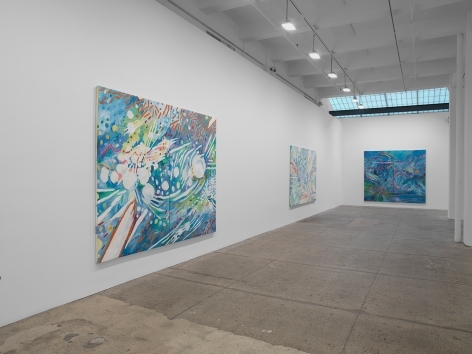 During that time, the artist began working on a larger scale, creating works on multiple panels. 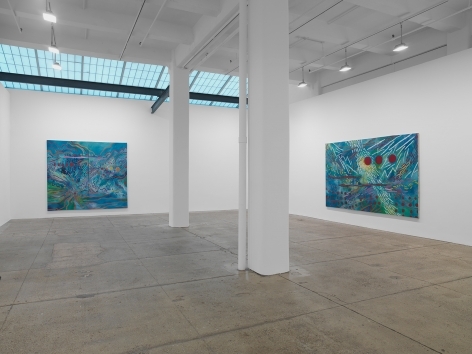 On view in the large gallery will be Radiation Explorations paintings (1994), which are characterized by blue backgrounds with the occasional incorporation of white. 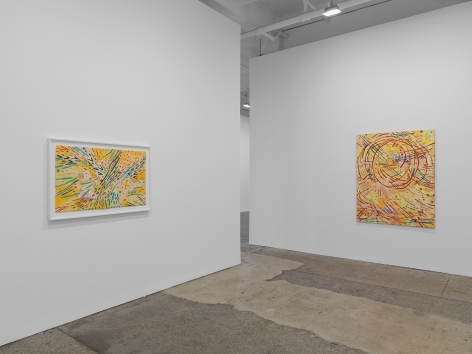 Her Magnetic Fields series (1990-92) will be on view in the small gallery, in which she visualized the forces of magnetic energy. 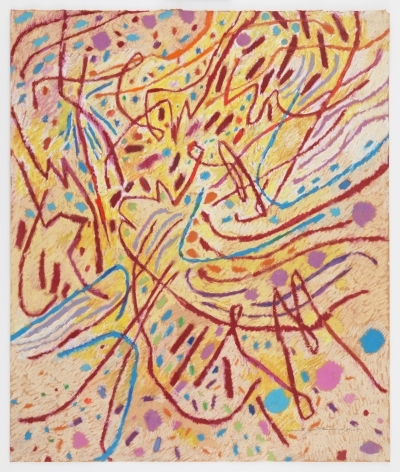 The artist’s personal interpretations of invisible worlds, such as sound and space, manifest as vibrant colors and energetic lines. 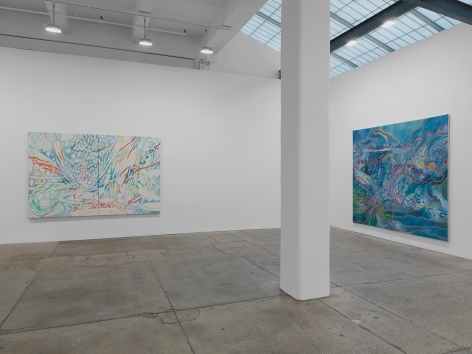 Though her paintings are not literal translations, they embody an emotional understanding of complex concepts through expressive, rhythmic mark-making. Mildred Thompson was born in 1936 in Jacksonville, Florida, and died in 2003 in Atlanta, Georgia. 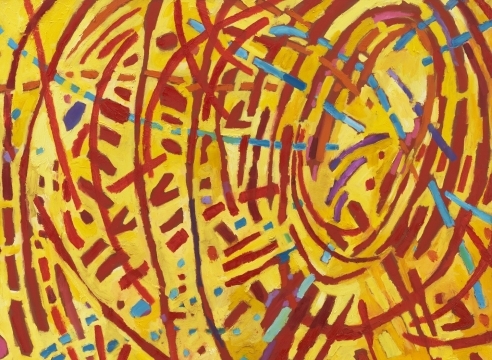 She earned her Bachelor of Arts degree from Howard University in Washington, DC in 1957, under the tutelage and mentorship of the pioneering African American art historian James A. Porter. 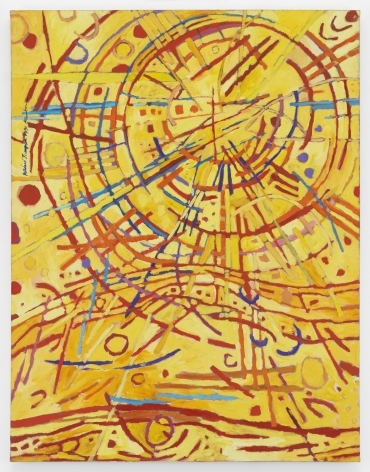 Thompson’s work was recently featured in the group exhibition Magnetic Fields: Expanding American Abstraction, 1960s to Today at the National Museum of Women in the Arts, Washington, DC, where it traveled from the Kemper Museum of Contemporary Art, Kansas City, Missouri. 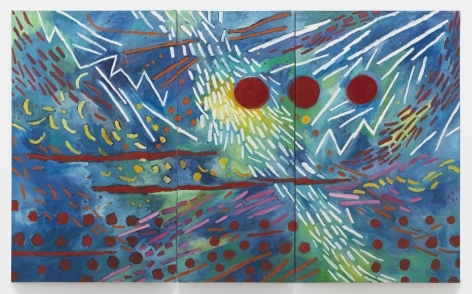 In 2016, the solo exhibition Mildred Thompson: Resonance, Selected Works from the 1990s was presented at the SCAD Museum of Art, Savannah, Georgia. 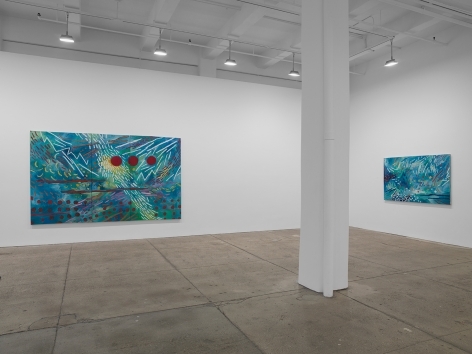 Thompson’s work can be found in numerous private collections in Europe and the United States, including the Larry and Brenda Thompson’s prestigious collection of African American Art as well as the Mott-Warsh Collection in Flint, Michigan. 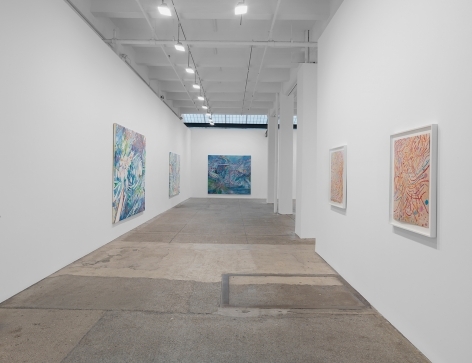 Her work is also in many public collections including the Brooklyn Museum, New York; Museum of Modern Art, New York; National Museum of Women in the Arts, Washington, D.C.; New Orleans Museum of Art, Louisiana; and Smithsonian American Art Museum, Washington, DC, among other institutions.